During summer time we have always inspired of searching for a great summer treats that would composed of a grand hotel, swimming pool, beach resorts and delicious foods that will provide us a more enjoyable experience. Well I am pretty sure that you have your long lists of summer vacation houses that you believed will give you the most unforgettable experience. 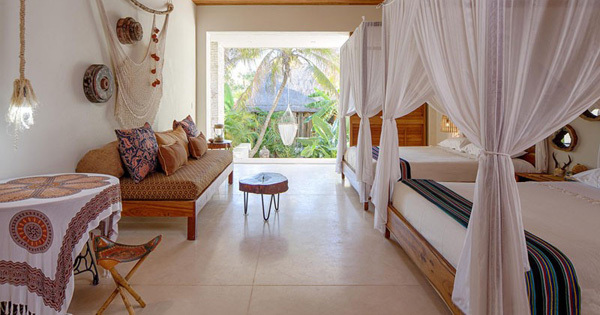 Today we can share to you a holiday rental house that you may add in your choices. 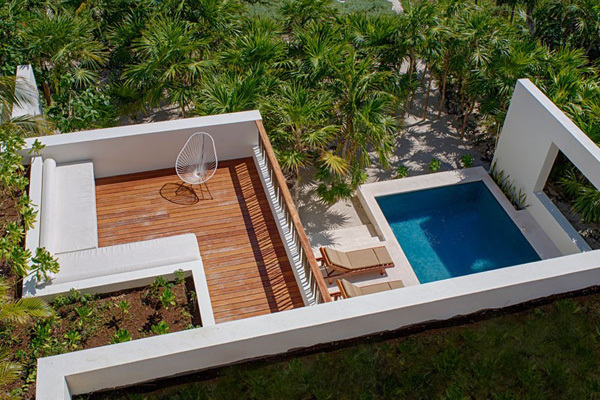 This house is named as Casa Xixim which is spotted in Tulum, Mexico. 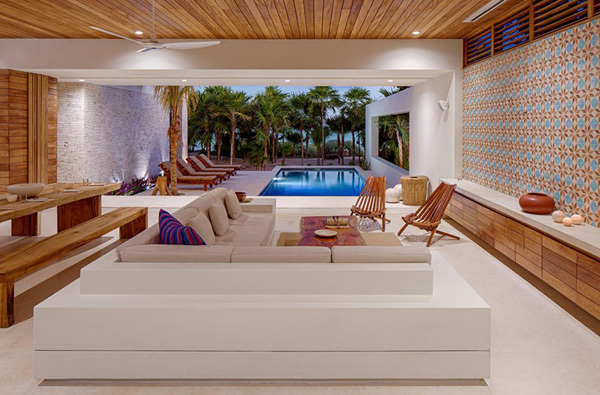 Tropical and wooden themed furniture and spaces are available in this house that would simply provide the most comfortable and relaxing zones both in the indoor and outdoor. The concrete and wooden elements were effectively utilized by the designer that simply illustrates the elegant and fashionable areas of the house. Scroll down the page and see the amazing details of the house through the images below. Lines and forms underline from these soft and comfy seats in the living space stressed the real comfort. 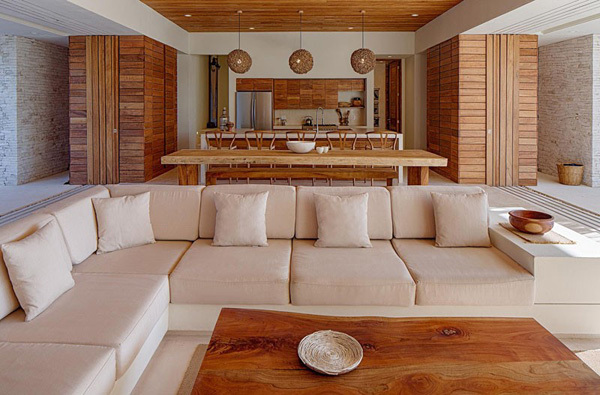 Shapes and colors harmonized the quality of the furniture and the walls in the interior. 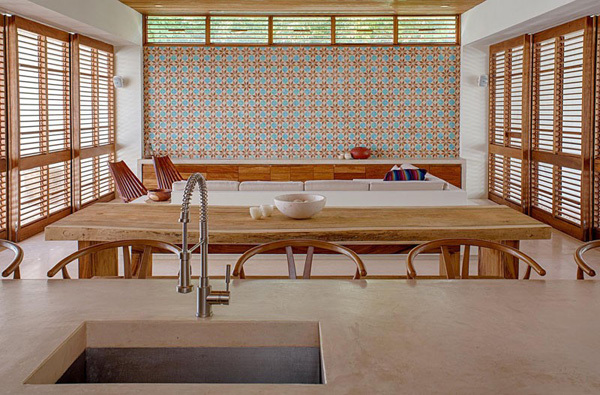 Patterns and textures are well-displayed here that enhances the look of the interior. 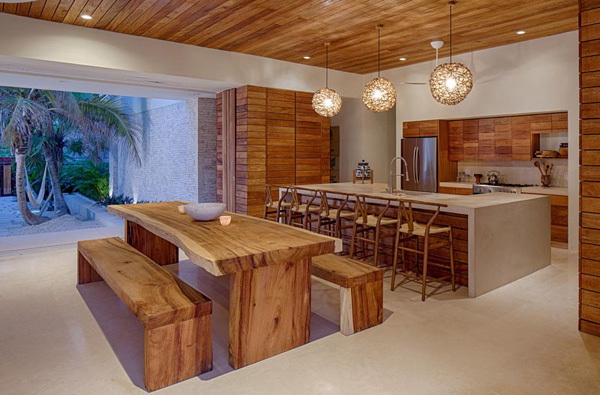 Luxurious chandeliers set in the kitchen and harmonized with the wooden furniture arranged here. 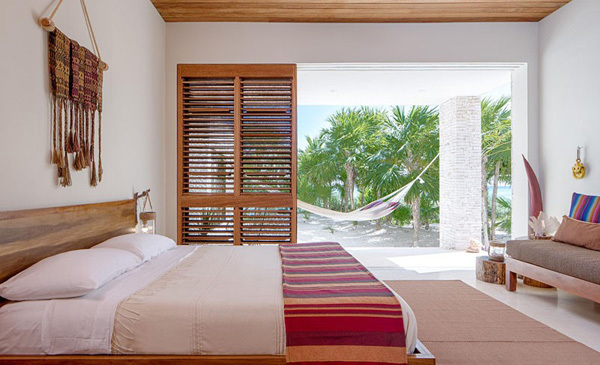 Colorful striped bed sheets harmonized with the classy furniture and smooth walls in this modern bedroom. Free access to natural sunlight and ventilation is always available here especially in the morning. 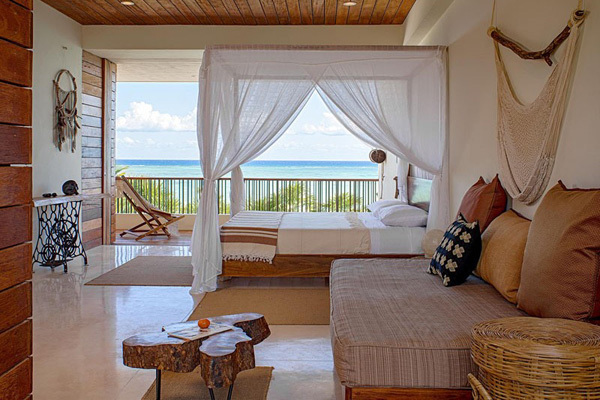 Oceanic views are graced in this spacious and classy bedroom that adds a greater opportunity for the client to feel comfortable. Patterns and artistic accessories is well-arranged in this bedroom that made this lovelier. 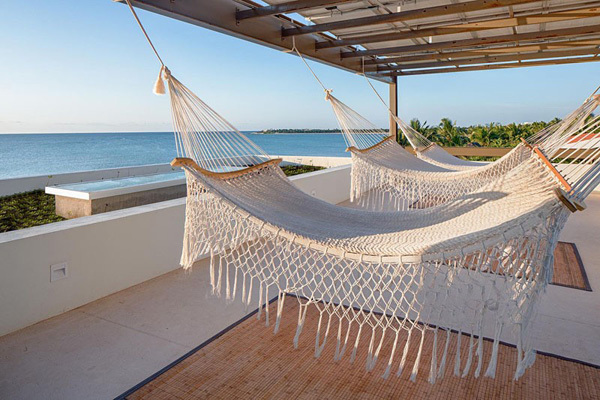 Fashionable and artistic designed hammock is also secured in this area that will allow the guests to enjoy the nature. Shapes and forms from this area are also emphasized from the bird’s eye view. 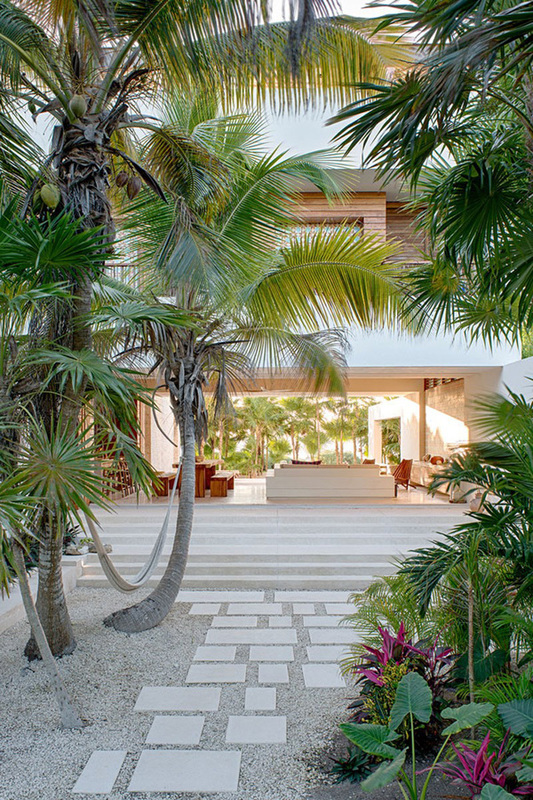 A clean and neat garden harmonized with the magnificent design of the house building. 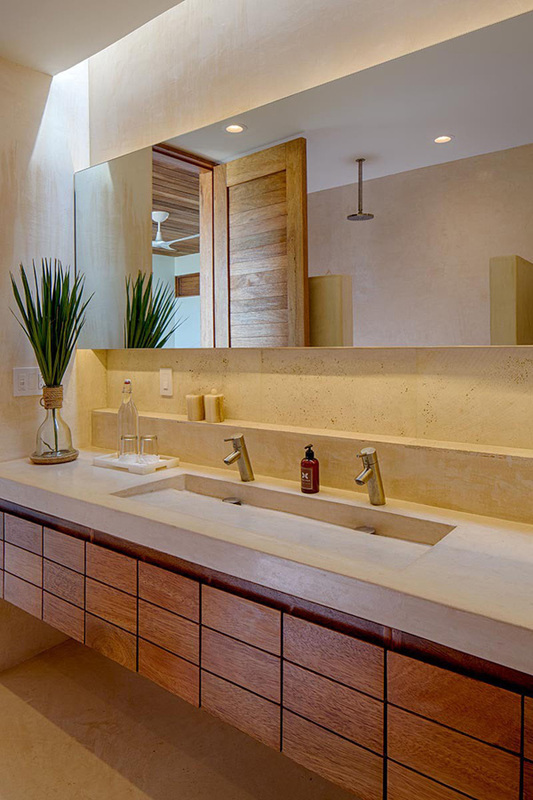 Romantic and comfy mood set in this spacious bathroom with this modern fixtures and accessories. 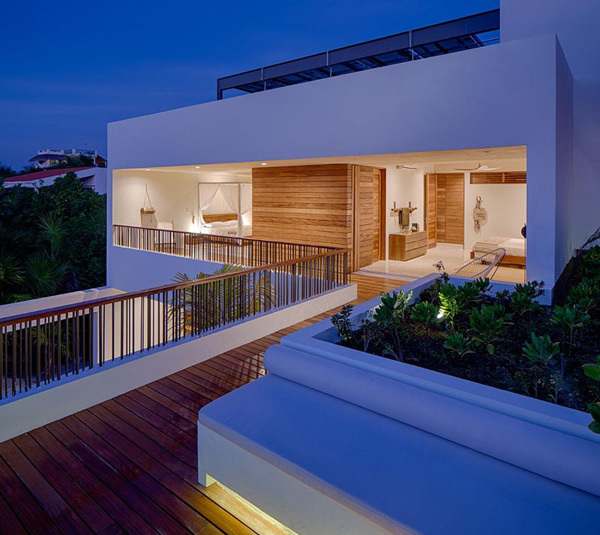 Huge and remarkable terrace provides the best space for the client to enjoy the beauty of the surroundings. Luxurious experience is accessible in this pool area even at night. 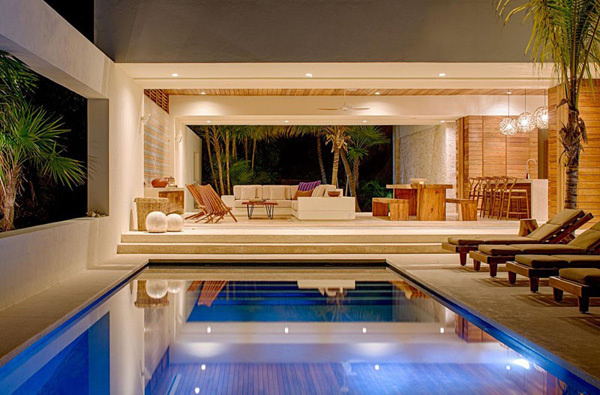 Lighting system installed in the interior and exterior underscore the expensive and unforgettable deals in this house. Photographed spaces of the house by Taggart Sorensen extremely unveil the reason why you should choose to consider staying in this house during your holidays. The most important and unforgettable experience may be found in this place. 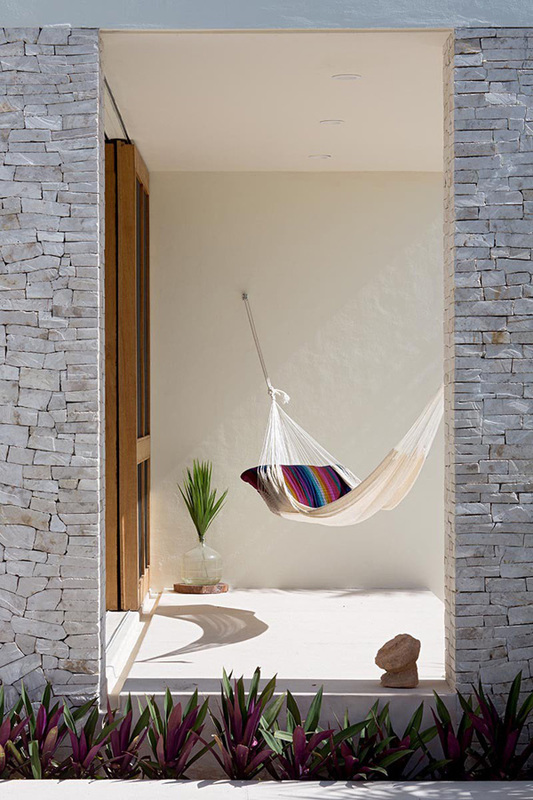 The Specht Harpman Architects also proves that their skills, wit and gift is more than enough to lay down the best treats that you are dreaming for in a summer vacation. We hope that you also consider these features in choosing your best house design that would explains the best relaxing moment of your choice.